It was an exciting day for the Christians in Antioch. The whole church had gathered together to pray for Paul and to send him off on his second missionary journey. Everybody was curious to see who would be on his team this time. You see, just a few days before, there had been quite a heated dispute between Paul and Barnabas, who had accompanied Paul on his first trip. Barnabas wanted John Mark to join them again so the young man could have a second chance as a missionary candidate. On the last trip, he had deserted them when things got rough, but Barnabas believed that John Mark had now changed and would do better. Job description: Serving, praying, preaching, teaching and church planting. Qualification: Love Jesus more than life itself. Terms and conditions: Hard work; 24-hour shifts; difficult travel; storms; shipwrecks; nakedness; poverty; hunger; constant danger from Gentiles, false brothers, robbers and wild animals; misunderstanding; loneliness; desertion by coworkers; persecution; beatings; stonings; imprisonment and possible martyrdom. Job does not include the following benefits: Salary, position, title, promotion, securities, health or life insurance, secure future, good health, long life or retirement fund. Send your application to: Paul of Tarsus, apostle to the Gentiles. I am certain that very few of us would have dared to venture out and join Paul’s “death squad” missionary team! In fact, most of our comfort-loving churches would have labeled Paul as crazy, dangerous, and cultish and warned their members not to attend his meetings or read his letters. However, when we read the Gospels, we are surprised to discover that Jesus made the same offer to His disciples when He asked them to follow Him. He even told them, “You must love Me more than your own life.” We read the results in the book of Acts and in Church history: Nearly all of His disciples lost their lives for the sake of the Gospel they preached. On that day when Paul headed out for his second missionary journey, “a few good men” had actually made his team! Everyone in the church knew that these men had to be the cream of the crop, the best of Christianity: men full of faith and the Holy Spirit, mavericks, steadfast, fearless and invincible. Paul and his team were incredibly successful. Everywhere they went, they drew people’s attention with the message they preached and the miracles God performed through them. People were saved, churches were established and together, this team actually turned the known world upside-down (see Acts 17:6). Years later, however, Paul wrote an interesting paragraph in his letter to the Philippian church: “But I hope in the Lord Jesus to send Timothy to you shortly, so that I also may be encouraged when I learn of your condition. For I have no one else of kindred spirit who will genuinely be concerned for your welfare. For they all seek after their own interests, not those of Christ Jesus. But you know of his proven worth, that he served with me in the furtherance of the gospel like a child serving his father” (Philippians 2:19–22, NASB). And with sorrow, Paul wrote to Timothy at the end of his life: “Demas has forsaken me, having loved this present world, and has departed for Thessalonica” (2 Timothy 4:10). What strange things is Paul writing about in these letters? He’s actually talking about his own coworkers! How is that possible? What happened to his elite team, the ones he handpicked and personally trained? Many left Paul and his team for various reasons. Paul was sad and hurt, not because he didn’t want his coworkers to be used by God elsewhere but because he recognized that the motivation of their hearts had changed. The driving factor in their ministry decision was no longer love for Jesus but rather their own interests, dreams and ambitions. In the Old Testament, we find another example of a man being motivated by his own interests and desires. Gehazi, the servant of the prophet Elisha, had stood with his master through difficult and turbulent times. He had traveled with Elisha, carried his bags, cooked his food and shared all the hardships and persecution Elisha faced in his ministry. It was not an easy life for Gehazi. Surely no one envied him for his job. I believe Gehazi had originally joined up with Elisha because of his love for the God of Israel and because he truly believed Elisha was a genuine prophet of the Lord. He saw it as a special privilege and honor to serve such a man and help make his life a little easier. So Gehazi ran after Naaman, got some free gold and clothing—and became a leper. This is a very sad story. We can’t help but wonder how Gehazi could make such a fatal mistake after being with Elisha for so long. Surely he must have known that he would never get away with this type of greed. Was Gehazi perhaps always a selfish man and served the prophet only for a chance like this? Or could it be that his heart went from a state of total commitment to seeking his own benefit in just a matter of hours? I believe Gehazi actually started out with the right motivation, but somewhere down the road, his heart was lost, long before he encountered Naaman. Is it that God doesn’t want us to have any blessings as we live for Him and serve Him? No, not at all! On the contrary, He is eager to shower us with His goodness. But He doesn’t want us to make the blessings and benefits our goal and reason for service. He knows that if we do, we will lose the purity of our motivation, which should be to serve Him out of love. A third example is found in the church in Ephesus, which Paul himself planted. This church was a model to all of Christianity: genuine love for Jesus, commitment, maturity, sacrifice and hard work. When Paul wrote them a letter, he didn’t have to spend time reteaching them the spiritual ABCs but instead could share deep spiritual truths with them. But years later, another letter reached the Ephesians from the apostle John, with a message he had received from Jesus. The content was very short but extremely serious; in essence, it said: “I know all you do—your work is way above average. However, you have lost your first love, and there is nothing I can accept as a substitute. Repent, and love Me as you did in the beginning. If not, I will walk out of your church” (see Revelation 2:2–5). It is shocking, but when we study about Paul’s coworkers, Gehazi and the church in Ephesus, we find the same problem. The beginning of their ministry was wonderful. Their hearts were right, and their motives were pure. But as time went by and their knowledge of God, their experience in ministry and their ability to lead others all increased, their hearts changed. Their problem—and ours as well—was not the start of the race but that long stretch before the finish line. Looking at those who have gone before us, we can easily see that this is where we face our greatest battles and where so many fail. Perhaps with time, we become more casual and careless and take much of our walk with the Lord and our ministry for granted. Paul watched over his heart with the eyes of an eagle, alert and ready to detect any early warning signs that he was losing his pure motivation. If this started to happen, he immediately corrected his course. Above all, Paul never considered himself more than a bondservant or slave of Jesus Christ. As such, he had laid down every right to his own life along with every ambition he ever had. His only remaining desire was to please His Lord and live for Him. He entertained no dreams beyond that. In the light of all this, seeking recognition, titles, position, a pat on the back, salary or benefits in the Lord’s work, whether secretly or openly, must be an alarming warning sign for us. If we choose to pursue these things, it will be only a matter of time before we have lost a pure motivation of the heart. Our enemy is our own self-centeredness. 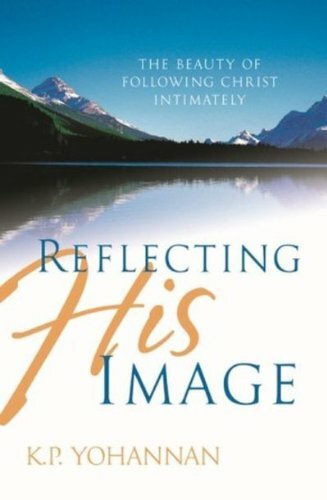 Reflecting His Image © 1998, 2004 by KP Yohannan, the president and founder of Gospel for Asia. It was written with the intention of encouraging and edifying the Body of Christ. To learn more about Gospel for Asia or to receive additional free resources, visit Gospel for Asia’s website. This entry was posted in 5 Minutes with K.P., Reflecting His Image and tagged 5 minutes with K.P., Dr. KP Yohannan, gfa, Gospel for Asia, K.P. Yohannan, KP Yohannan on November 28, 2011 by gfaseo. 5 Minutes with K.P. – Does Your Reading Count? While visiting China a while back, I was shocked when I learned that hundreds of church congregations there are without even one copy of the Bible to share among themselves. They are without any kind of Christian book, and still in many parts of the world it is impossible to find a Christian bookstore. In free countries, especially in the West, thousands of books on every conceivable subject are available to believers. One might logically conclude that because there are so many Christian books, most of the people in these nations are very spiritual and radical in their commitment to Christ! Unfortunately, this is not the case. In fact, even though so many Christian books are available, many of God’s people are truly illiterate when it comes to reading books that could really make a difference in their lives. When you visit the average Christian bookstore, you’ll find that there are more books on self-help and how to make one feel good or how to improve one’s situation, than on the radical call of Christ to lay down one’s life and live unselfishly to reach this generation with the Gospel. Many publishing houses will not publish a book with the name “mission” on it, simply because it wouldn’t be a money maker. Furthermore, hundreds of priceless books are out of print because the topics are contrary to our self-centered, self-pleasing, watered-down Christianity. And do you realize the latest trend is to read Christian novels? In other words, we are looking for anything that makes us feel good. Early in my Christian life, one of the best things that happened to me was that George Verwer, founder of Operation Mobilization, at which I was serving, asked us young people to carry with us the book True Discipleship, by William McDonald. He wanted us to read it several times each year. Then I was introduced to the many books by A.W. Tozer and by Watchman Nee. And, of course, one cannot forget the book Calvary Road by Roy Hession. I’m sad to say that many of these books are not even available in the most popular bookstores. They have to be special ordered. Read the Gospels and see how Jesus called His disciples. He said, “If anyone desires to come after Me, let him deny himself, and take up his cross, and follow Me” (Matthew 16:24). And, “If anyone comes to Me and does not hate his father and mother, wife and children, brothers and sisters, yes, and his own life also, he cannot be My disciple” (Luke 14:26). Of course, Jesus promised a hundredfold more blessings than anything we can ever forsake. But He said these blessings would also come with much persecution. There is a price to pay in this generation if we are serious about seeing the multiplied millions of people in this world come to know the Lord Jesus Christ. We are truly in serious spiritual warfare. Satan is serious not only about what he is doing but also about drugging us with this lukewarm Christianity and plunging us in a fog that blinds us to reality. I encourage you to get some of the books I mentioned previously. Read them and meditate on them. Then read the Gospels and let the Lord speak to you in a fresh and new way. Next, pray. There is no greater test of a person’s grasp on reality than seeing how he is committed to prayer. How can we watch 139,000 people being wiped away in a cyclone in Bangladesh, 50,000 slaughtered in Sri Lanka or hundreds killed on the streets in China and then take it so casually? If Christ were there in the flesh to witness these events, how would He react? I believe His heart would be breaking, and food, sleep, hobbies and anything else that might be considered important would become secondary. Would Jesus not fall down weeping and praying? Isn’t this what we ought to be doing? I believe the daily events happening in the world should become a prayer letter we can use to intercede for this generation. As you think about getting some of these excellent books, I would also recommend Operation World, by Patrick Johnstone. It is a must, because it gives the reader information on how to pray for each country. If you are unable to get any of the books I’ve mentioned in your bookstores, please let Gospel for Asia know. We may be able to help you locate them. Read not just for information, but to learn and obey. This entry was posted in 5 Minutes with K.P., Reflecting His Image and tagged 5 minutes with K.P., Dr. KP Yohannan, gfa, Gospel for Asia, K.P. Yohannan, KP Yohannan on November 21, 2011 by gfaseo. 5 Minutes with K.P. – What Is Normal? From that day on my brother began to pray for everyone’s salvation, believing that his family was already saved. One by one, our entire family came to know the Lord. Their children were also saved, and most of our extended family was saved as well. In fact, many of our family members are either in full-time ministry or in preparation for it. It was only many years later that I realized what my brother had understood was the mystery of walking by faith described in Hebrews 11:1. Unfortunately, many Christians do not have this kind of trusting faith. I believe the devil laughs when he sees us sitting down with our calculators, logic and expertise to figure a way out of our problems and battles. He knows very well that even if we held 10 Ph.D.s, we couldn’t outsmart him. I imagine he actually enjoys watching us depend on our great knowledge, the latest management strategies, and human psychology to run our churches, evangelize the world and heal our ills. You see, as long as he can keep us believing that we can find answers and solutions in the realm of the natural, we are not much of a threat to him. God, on the other hand, urges us to live in the supernatural. This means walking by faith and believing His Word, even if it defies everything our five senses tell us. Hebrews 11:1 says, “Now faith is the substance of things hoped for, the evidence of things not seen,” meaning that when I walk by faith, I believe without a shadow of a doubt that God’s promise to me is the absolute truth. I then act and live at that very moment—before I ever see the evidence—as if I have already received the fulfillment. If I do this, the Bible declares that I will have my request. To our human logic it sounds as if God wants us to lie about our real situation. It sounds so foolish, so opposite of reality and so unscientific! But according to Hebrews 11:1, we are not lying at all; and we haven’t fallen into a trap of hopeless self-deception. No, we are just acting normally—by the laws that govern heaven! None of this makes sense to our human perception. It blows our minds just trying to figure it out. The most important thing for us to remember is this: It is impossible to apply the laws of the natural realm to the realm of the supernatural. Jesus said in John 17:14 that we are not of this world, just as He is not of this world. We are born of the Spirit of God and belong to another kingdom that is not a part of this earth. For us as citizens of heaven, it should be only normal that we live according to the laws of our home world! Perhaps some of us are reluctant to enter such a walk of faith as described in Hebrews 11:1. We have seen a lot of fraud with a pretense of faith, and it has scared us off. True faith has nothing to do with lies, foolishness, manipulation and claiming wild things God never intended for us to have. True faith first receives a clear promise of God that is within His revealed will and then acts on it. Once we have determined to walk by faith, we will encounter severe opposition from the devil. In fact, our greatest battle will take place between the time we decide to believe God’s promise and the actual, visible moment of fulfillment. That’s the time the enemy fights the most. He attacks our mind and tells us, “What kind of a fool are you to believe God would heal your sickness, restore your marriage, save your son or provide for your needs? It’s already been three weeks since you decided to pray by faith. Take a look at your situation. Has it changed? Nothing has happened—nothing at all! Satan tries his best to discourage us with all these doubts. He wants us to give up walking by faith and consequently never see the fulfillment of God’s promise to us. We must resist the devil and his attack on our minds, and he will flee from us. As we continually walk by faith and not by sight, we live in the supernatural. God’s very life flows through us unhindered, and we become a mighty weapon in His hand. He is now able to use us to bring millions of people to Jesus, change the course of nations and proclaim His kingdom on earth. All things are possible if only you believe. This entry was posted in 5 Minutes with K.P., Reflecting His Image and tagged 5 minutes with K.P., Dr. KP Yohannan, gfa, Gospel for Asia, K.P. Yohannan, KP Yohannan on November 14, 2011 by gfaseo. As followers of Christ, we very often forget that we are engaged in a serious battle with bullets flying all around us. The last sentence of his father’s letter caused him to resign from his job and leave everything to follow Christ’s call and give his life to serve the Lord full time. He began to recruit young people, train them at a small Bible college he started and send them out to mission fields in northern India. They all were serving the Lord quite well and his ministry was growing when he came to me so downtrodden. I was a bit surprised to see this brother in such despair—wanting to give up the ministry and run away from the community in which he was working—and ready to fall to pieces. I wondered what had happened to him. He is known as a man with great understanding of the Lord and His Word, and he has a deep walk with God. I patiently listened and let him cry about all the terrible things that had happened to him. To me a lot of them seemed insignificant, but he was being destroyed by them. In the end I said to him, “Brother, let me tell you an instant solution to all your problems. If you follow my advice, I guarantee you total recovery from criticism, problems, misunderstanding and even the sickness you are facing.” His face lit up, and he was eager to hear my solution. What I said visibly shook him up. He had not expected this kind of solution. I opened the Bible to 2 Corinthians 11:23–28 and showed him the list Paul made about his sufferings on behalf of the Gospel. He was shipwrecked, beaten, forsaken by all, near death, hungry, misunderstood and so on. I told him the best way to get away from all these troubles was to stay home or do something besides pioneer evangelism. “However, if you want to serve the Lord, you don’t have many choices. You will not only face your present difficulties, but all of them will be multiplied a thousand times in the days to come. Perhaps you will even face an early death. But that is what Jesus promised. Will you accept it?” I asked. I prayed and encouraged him, and he went back to his home. Before I left India, he sent somebody to tell me that his life was completely turned around. Now he is not expecting an easy road. He is fully expecting service to the Lord to be a battle and a struggle. Since that talk with Brother Alfy, I have never again looked for peace or for a time when I could say, “Oh wonderful, everything is going great.” No, I am prepared for battle and for staying in the fight. I get wounded sometimes and discouraged. All of us do. This is normal in a battle! But like Paul we can say: “We are hard-pressed on every side, yet not crushed; we are perplexed, but not in despair; persecuted, but not forsaken; struck down, but not destroyed” (2 Corinthians 4:8–9). In the end after the battle is over, we will still be standing and going forward. That is God’s promise. This is not fatalism. No, we are more than conquerors through Him who loved us. So by life or death we serve Him, knowing that He is our victory. You are not your own—remember that blood was the price Jesus paid for you! This entry was posted in 5 Minutes with K.P., Reflecting His Image and tagged 5 minutes with K.P., Dr. KP Yohannan, gfa, Gospel for Asia, K.P. Yohannan, KP Yohannan on November 7, 2011 by gfaseo.